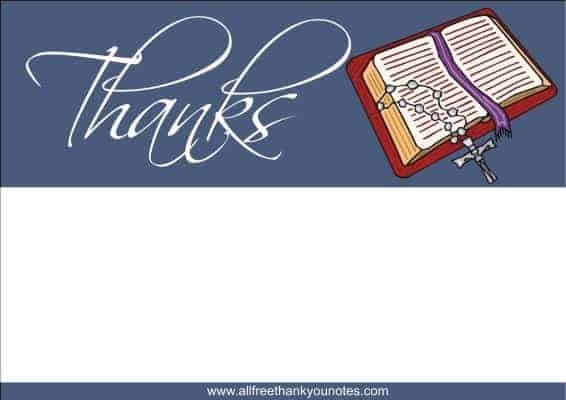 This stunning range of free thank you stationery features the religious theme. Featuring cruicifixes and other religious / god / jesus related images, the religious themed range of free thank you notes and cards. Your friends and family will enjoy a thank you note, which is a great way to show your appreciation for any occcasion or good deed. 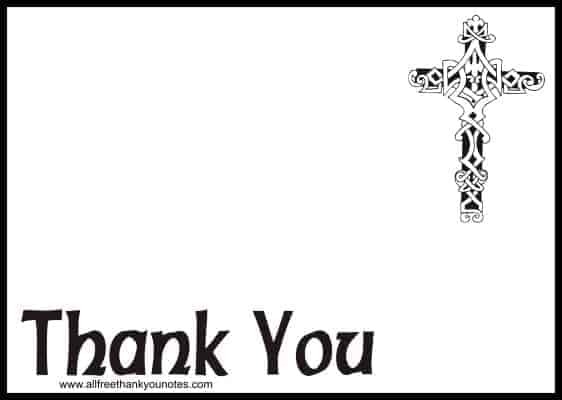 People feel a bit special when they recieve a well chosen thank you note.Show your love of jesus by choosing a religious designed free printable from this lovely range. Whether you are thanking another person or praising jesus and god for your blessings, I am sure you will find something to suit your pupose on this page. Free religious stationery and printables are truly a gift. Please enjoy my range of religious thank you stationery for free. Simply choose the design you like, click on it, print it out and then you can put your own personal hand written note on it. My thank you cards and notes can also be used for craft projects such as scrapbooking. I have thankyou stationery that is suitable for any party or occasion so be sure to browse the entire website.